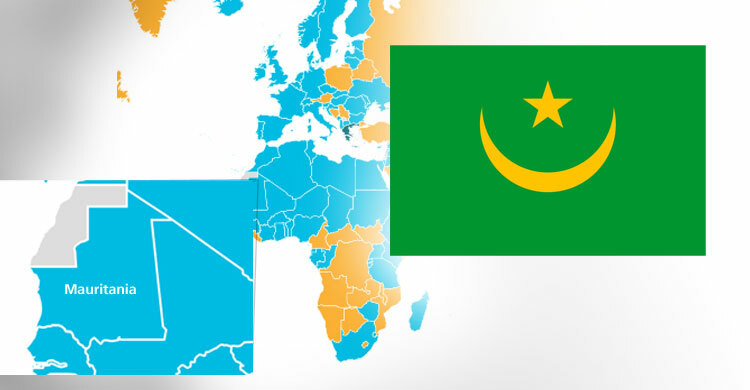 Bonn, 20 March 2015 - Mauritania has completed its accession process and joined AEWA on 1 May 2015, as has been confirmed by the Agreement’s depositary, the Government of the Netherlands. This takes the total number of AEWA Contracting Parties to 75, of which 35 - a remarkable 47% - are from Africa. “We are delighted to welcome Mauritania to the Agreement”, said AEWA Executive Secretary Dr Jacques Trouvilliez, who thanked the Mauritanian authorities for their commitment. The Islamic Republic of Mauritania lies on the coast of West Africa, bridging the Arab Maghreb and western sub-Saharan Africa. Its population is approximately 3.5 million, one third of which live in the country’s capital and largest city, Nouakchott. On the basis of its climate and vegetation, Mauritania can be divided into the Saharan, Sahelian, coastal and Sudanian zones. More than three quarters of the country’s land is desert or semi-desert, with the Sahara covering the largest part of the territory. The country’s coastal zone stretches some 750 km along the Atlantic coastline and includes the Banc d’Arguin National Park, a UNESCO World Heritage Site and Important Bird Area, which is one of the world’s most important sites for nesting birds and Palearctic migratory waders. The Banc d’Arguin supports the world’s largest concentrations of non-breeding waders and provides wintering grounds for some 30% - more than two million - of the migrant waders using the East Atlantic Flyway. In total, Mauritania has 24 Important Bird Areas. Of the 252 migratory bird species occurring in Mauritania, more than 100 are migratory waterbirds covered under AEWA, including the Black Crowned Crane (Balearica pavonina) classified as Vulnerable on the IUCN Red List, and the Ferruginous Pochard (Aythya nyroca), the Great Snipe (Gallinago media), the Black-tailed Godwit (Limosa limosa) and the Lesser Flamingo (Phoeniconaias minor), all listed as Near Threatened. Several more of the 44 countries not yet party to AEWA are also gearing up to join the Agreement. Overall, the Agreement area includes 119 Range States. For more information please visit the AEWA website.